Audiences may no longer watch television the same way they did even a few years ago, but more U.S. households now have access to TV content than ever before, according to Nielsen. The company announced today that it estimates there will be 118.4 million TV homes in the U.S. for the 2016-17 season, which kicks off on Monday, Sept. 19. That's a 2 million increase from the 116.4 million estimate that Nielsen used during the past two television seasons. Nielsen also estimates that 301.7 million people in those U.S. TV households are 2 and older, which is a 1.6 percent jump over last year's 296.8 million figure. To arrive at its national television household universe estimates, Nielsen combines U.S. Census Bureau data with its own national TV panel, which the company doubled in January from 20,000 to 40,000 households, for a total of 100,000 viewers. 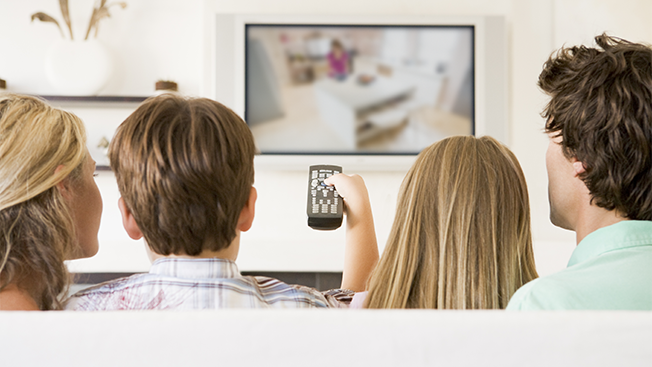 The company defines TV households as those homes that have at least one working TV or monitor that can deliver video via an antenna, cable set top box, satellite receiver and/or a broadband connection. This would account for cord-cutters who may no longer subscribe to cable but still use their TV or monitor to access subscription services like Netflix, HBO Now, Hulu or Sling TV. These new household estimates seem to confirm what networks like CBS have long maintained: More people are watching TV now than a decade ago, even if they are no longer doing so the same way they used to. Alan Wurtzel, NBCUniversal's president of research and media development, noted earlier this month that audiences are taking longer than ever to watch TV shows like the NBC comedy Superstore, which over four months of delayed viewing amassed a premiere 18-49 audience on par with The Voice's season premiere last fall. Delayed viewing is now "the new normal," said Wurtzel, while live viewing "is a choice, not a default. … This is a fundamental change in the way that people watch TV." While Nielsen's estimates don't shed any light on the cord-cutting controversy—while some studies find that cord-cutting is on the rise, several of the largest cable operators have actually been adding subscribers—it does indicate that there will be a larger audience than ever, at least eventually, for television content as the new TV season begins.